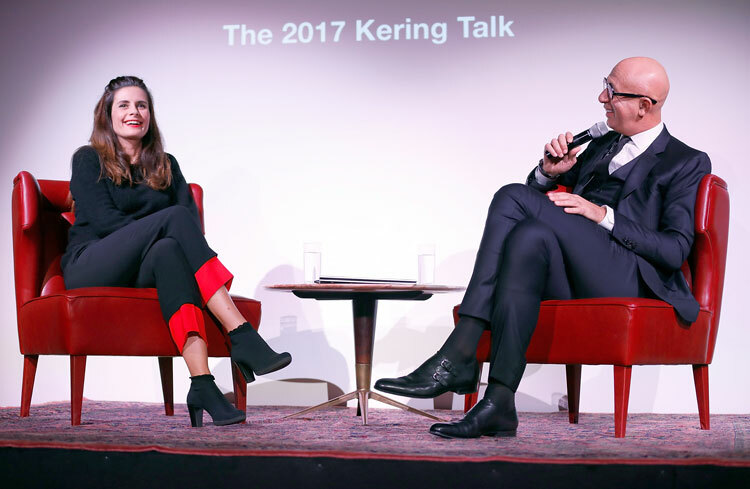 Last night Gucci CEO Marco Bizzarri was guest of honour for the annual LCFxKering Talk on sustainable fashion. In his in-conversation with Eco-Age founder Livia Firth, he announced that Gucci will be joining the fur-free alliance as of next year. Marking the International Day of the Girl, he also announced that Gucci has pledged 1 million euros to the UNICEF Girls’ Empowerment Initiative. 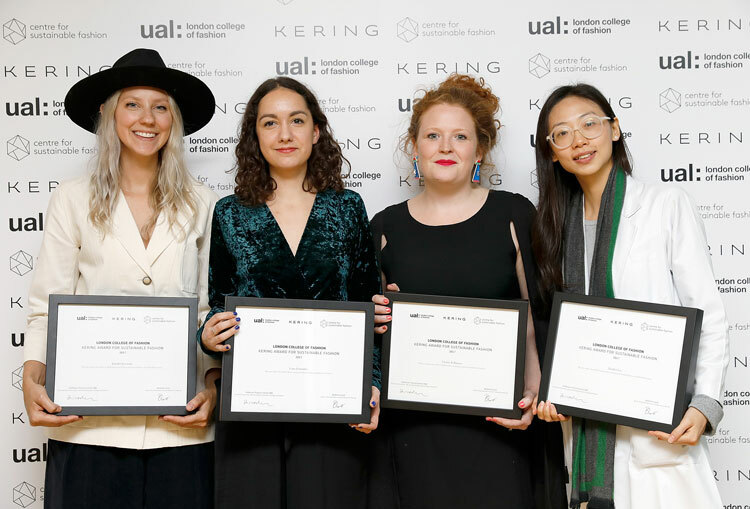 The winners of this year’s LCFxKering Award were also announced for this year’s brand partners, Gucci and Stella McCartney. The fashion industry can be an uncompromising place for new businesses and young designers – as production cycles get faster and with the world’s resources rapidly depleting, emerging businesses need to become more sustainable, agile and innovative. Educating the next generation to think and act sustainability is not only something we see as a moral duty, but one that will benefit all of us. Because we look to all of you entering luxury – and the industry in general – to have the skills to merge fashion and sustainability. You will guide our industry and help make positive changes…in the most sustainable way. It has never been more important for those working in and studying fashion to have a deep understanding of its context and to create an informed imagining of what fashion might become. A new kind of graduate is emerging with skills that can change the course of the fashion industry – if and when new knowledge from research, expertise from industry and student experimentation is brought together to cross reference and cross fertilise in a space of openness and sharing. 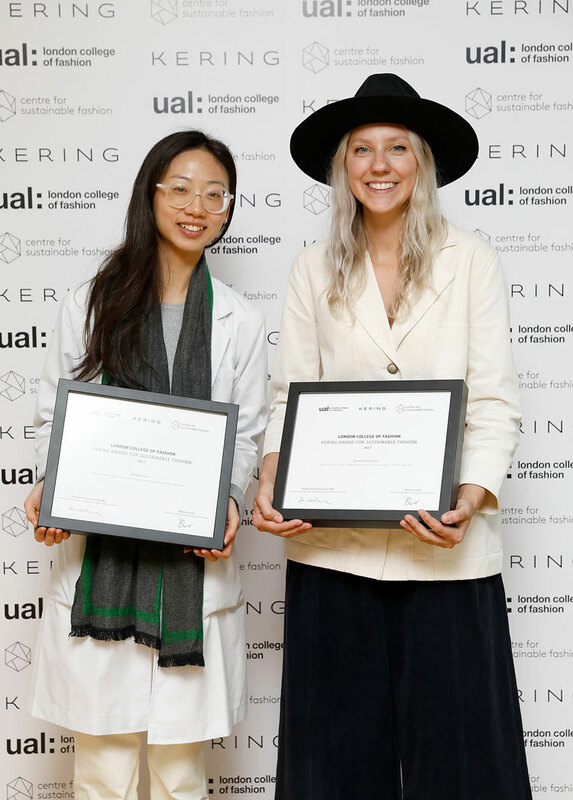 Gucci winner Laure Fernandez created a new method of designing and printing patterns, using microbial pigments, while for Stella McCartney Dianjen Lin undertook promising research into producing clothing that absorbs carbon dioxide. Laure and Dianjen will receive a €10,000 grant to allow them to continue their research. Charlie Wilkinson’s project aimed to replace the plastic inner materials in Gucci’s luggage with cork and bio- resin, while for Stella McCartney Jennifer Kusowski developed a proposal for the UK’s first fibre shed. Charlie and Jennifer have been awarded an internship at Gucci and Stella McCartney respectively. 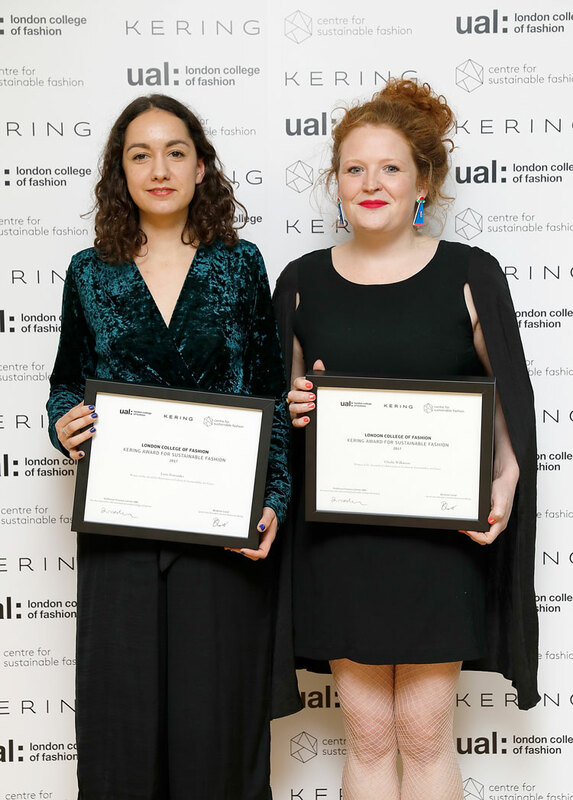 Now in its fourth year, the collaboration between LCF and Kering champions sustainable practices in the industry and last night also marked the announcement of next year’s brand partners – Alexander McQueen and luxury jewellery brand Pomellato. 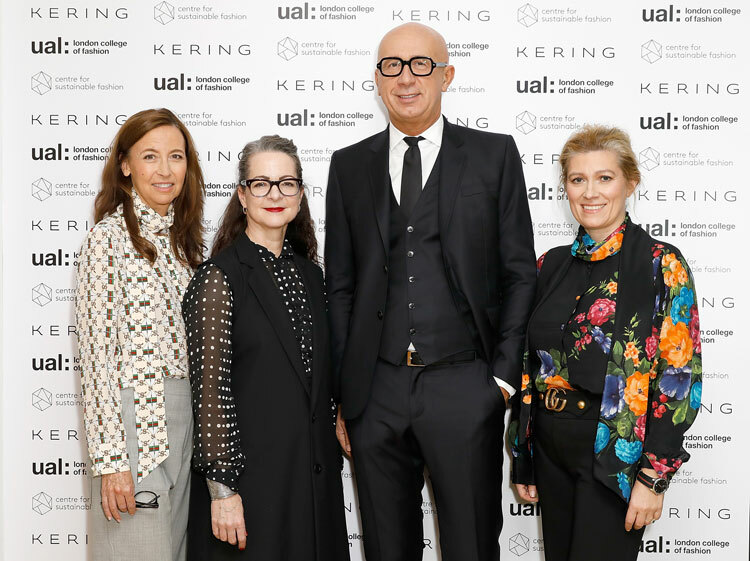 The Kering Award for Sustainable Fashion is part of the five-year partnership between Kering and LCF. If you are a final year undergraduate or an MA student at LCF visit the Centre for Sustainable Fashion website and find out how to apply for your chance to win €10,000 and a work experience placement with the brands involved for 2018.